Feel the Heat is FREE! 10 Steamy Romantic Suspense Novels….get your copy now! Do you like steamy thrillers? Do you like getting books for free? Do you like getting *10* books for free with just one click? If so, then grab FEEL THE HEAT now!! 10 steamy romantic suspense novels by bestselling and award-winning authors! 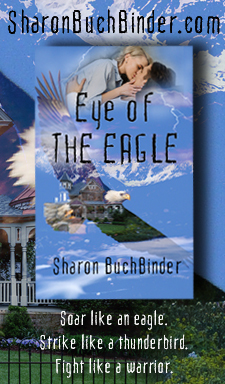 An archaeologist finds an unconscious man in the Alaskan wilderness, only to discover he’s the wealthy CEO and senate candidate she blames for her brother’s murder. Now she and the former Army Ranger must work together to find out the truth about his abduction and her brother’s death. Opposites attract as a female DEA agent and a DEA FAST member aid in the fight against a merciless drug cartel. Prior service Army Dog Handler Joseph “Kujo” Kuntz and his dog, Six, team with a female FBI agent to locate and neutralize a terrorist training camp. As Birmingham’s Medical Examiner, Dr. Sylvia Baron spends her time unraveling the secrets the dead keep, but can she protect her own deep, dark secrets? A SEAL’s one night stand with an Italian beauty is threatened by a terrorist takeover of their cruise ship. What does this SEAL and his Team buddies do? They save the day, and 3000 lives, of course! A detective with scars and a woman with secrets in the path of a murderer. Can he save her before she becomes the next victim? Can two scarred people be tempted to let love in? A single mom and her son escape with their lives after a terrorist attack on a US mall. When the boy is targeted for death, an FBI agent helps the mother and child disappear. But can he keep them safe when the players are more powerful than he ever imagined?